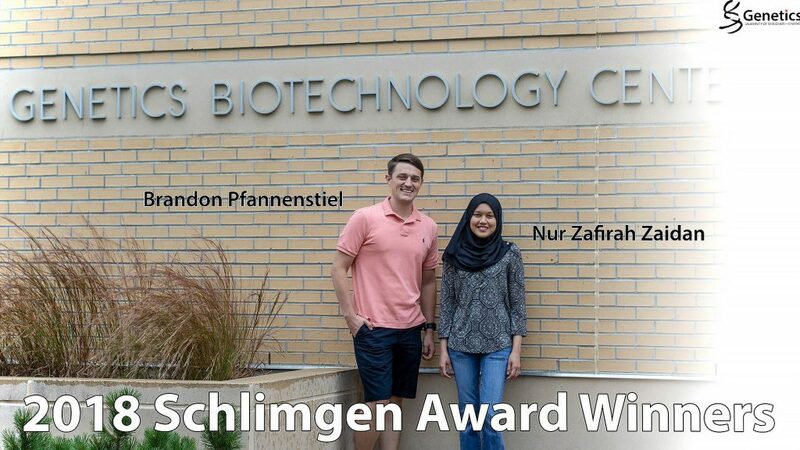 Congratulations to Graduate Students Nur Zafirah Zaidan and Brandon Pfannenstiel, the 2018 recipients of the Schlimgen Award! In memory of their daughter, Katie Schlimgen (PhD, 1991) the Schlimgen family established an award for an outstanding Genetics graduate student. This award was presented during the last summer student colloquium presentation. The award consists of a cash award, certificate, and an engraved plate on a permanent plaque. Last years winner was CJ Yang.